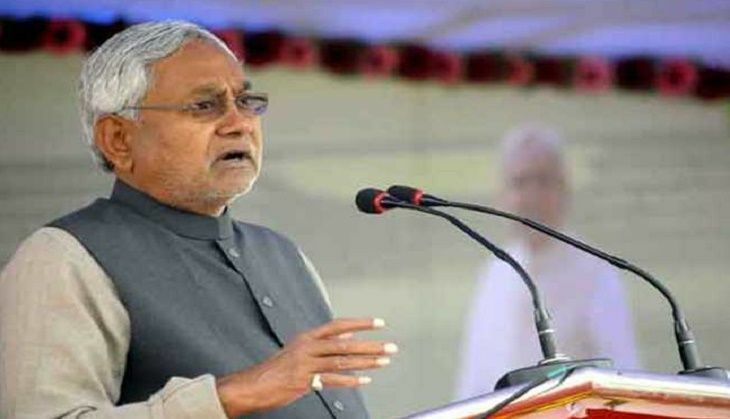 A young man was arrested on 2 May for allegedly having flung his slipper at Bihar Chief Minister Nitish Kumar at an event in Patna. The incident occurred when the young man came to meet the Janta Dal (United) chief at the Janata ke Darbar mein Mukhya Mantri programme at his residence. The CM confirmed that the slipper hit his chest. Senior Superintendent of Police Manu Maharaj said that the youth has been arrested and taken to Sachivalaya police station for detailed questioning. It has emerged that the youth had also caused a ruckus at a recent 'Janata Darbar' programme of senior BJP leader and former deputy chief minister Sushil Kumar Modi. While it has not been ascertained as to why he committed the deed, the young man was reportedly angry about the state government's recent advisory against the use of fire for cooking and religious rituals between 9 AM to 6 PM - to curb increasing incidents of fire.